On a sunny and unseasonably warm Friday, October 14, the city of Chicago was buzzing following a barely averted Chicago Public Schools teacher strike and gearing up for game one of the Cubs NLCS series. 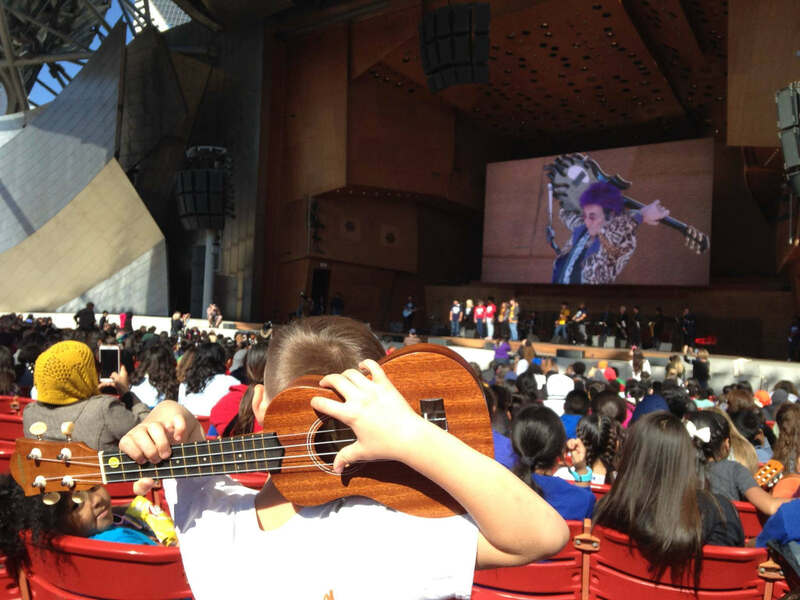 Nearly 1600 Little Kids Rock students and teachers from 55 Chicago public schools filled Millennium Park’s landmark Jay Pritzker Pavilion in the heart of the city. For most students, this was their first time being on a professional stage, and for a few students, it was the first time they’d ventured outside their neighborhood. 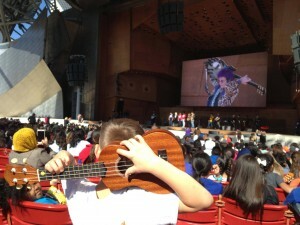 Many came with instruments in hand, and all wore smiles as they celebrated the transformational power of music education. The vibe was electric as students plugged in their instruments and sang songs from current popular hits by Elle King and from the musical Hamilton, to classic rockers like “Oye Como Va” and “We Will Rock You,” which featured accompaniment by the entire 1600-person audience. The highlight of the show was a colorful and energetic performance (which featured CPS students and teachers) of “Eye of the Tiger” by the tiger-striped clad and purple haired Ides of March star, Jim Peterik. Former Chicago Cubs pitcher and current front office employee Ryan Dempster got the crowd on their feet, while the Director of Arts Education for CPS, Evan Plummer, spoke about the importance of a culturally relevant music education program. Meanwhile, several volunteers from Pandora assisted students in making homemade maracas so they could make music from the audience. The event’s performances and festivities highlighted an astounding milestone Little Kids Rock had achieved this year: enriching the lives of more than 500,000 inner-city public school students through bringing them free instrumental music lessons rooted in the popular music that they know and love. Little Kids Rock provides music teachers with the training, curricula, instruments, and continuing support they need to teach their kids to be life-long music makers. 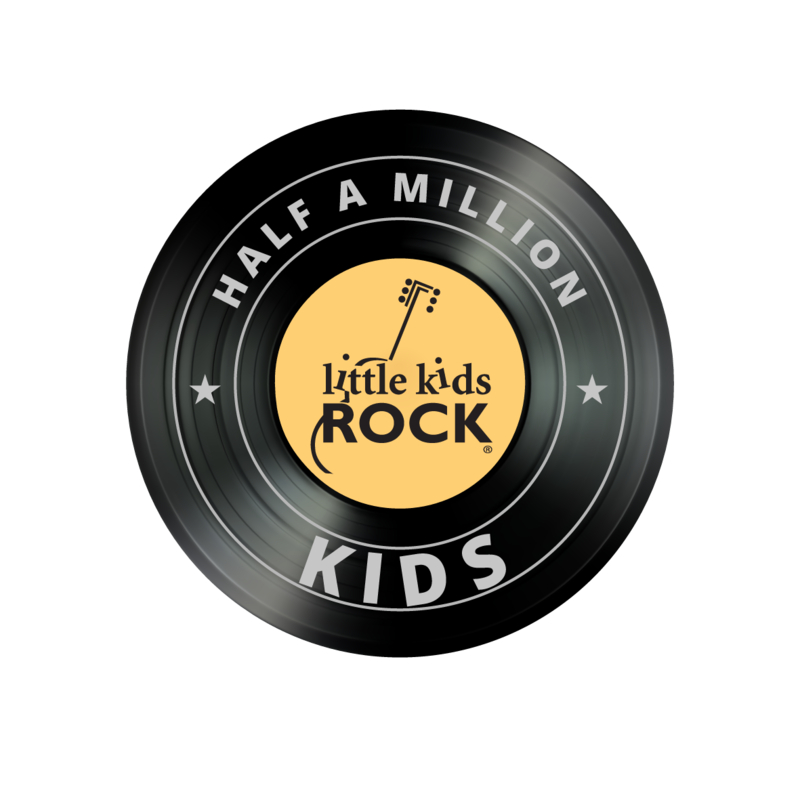 Little Kids Rock currently has a challenge grant from the Hot Topic Foundation, which will match every donation up to a half million dollars through Dec. 31, 2016. Please help us maximize this generous gift by making a donation or asking a friend to.